Doulton artist profile – Joseph Birbeck snr. 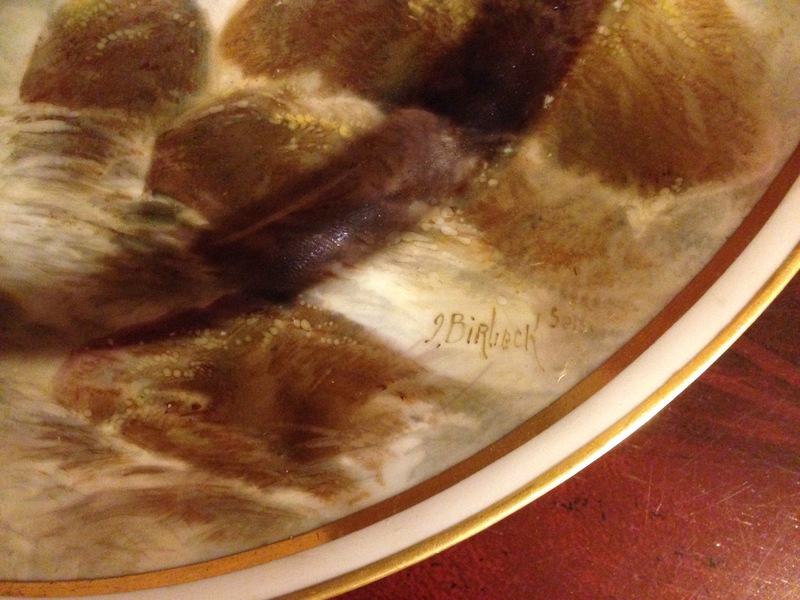 Another sighting recently was this plate from a fish service painted by the celebrated ceramic artist Joseph Birbeck snr, a member of the distinguished family of artists. Famed for his versatile ability, he is perhaps most famous for his game and fish, the latter often portrayed underwater. 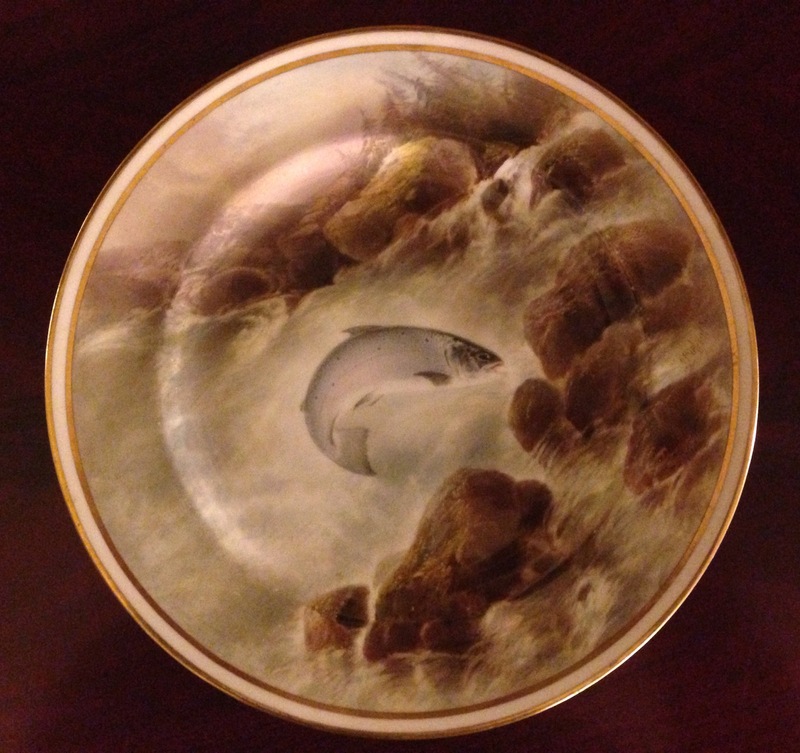 Here is a plate from 1909 with a view of a leaping salmon.